For what was the first ever competitive meeting between the two teams, manager Csaba Laszlo was already under massive pressure given that United was without a win so far this season. 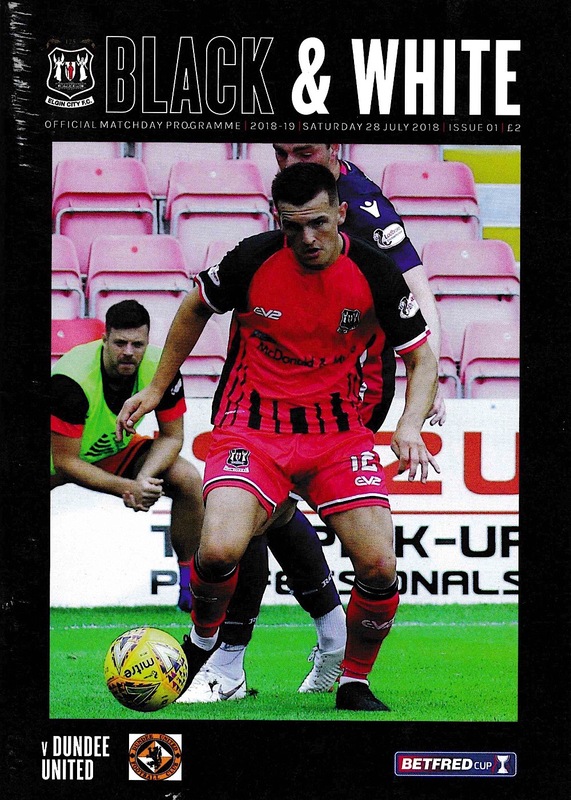 The manager made three changes for this match, with Ben Siegrist, Sam Wardrop and Matty Smith returning to the starting line up to replace the benched Matej Rakovan, and the injured James Keatings and Stewart Murdoch. 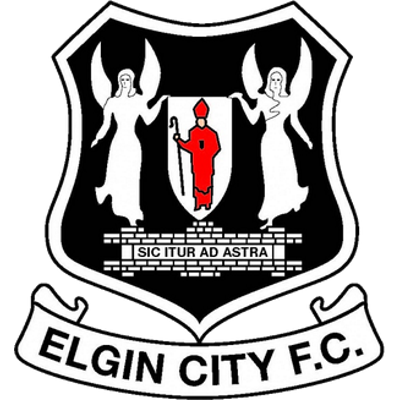 Elgin City had suffered an even worse campaign than United, and were still without a goal or a point in the group stage. It was not surprising that United had the bulk of possession in the first half, although given their form it was maybe equally unsurprising that this possession did not translate into goals in a fairly turgid first half. 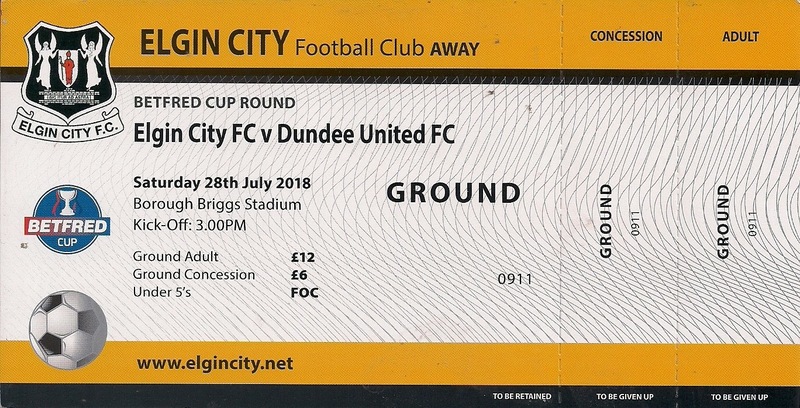 United did force a few early corner kicks as they tried to gain the initiative, but while they played a lot of good football in the early stages none of it was close enough to the Elgin goal to be in any way threatening. One of those corners in the 13th minute was forced by a good run and cross from Jamie Robson on the left, but as with the preceding corner kicks it ultimately came to nothing. This was closely followed by the first shot on goal which came from Sam Wardrop, although the right-back’s effort on goal sailed well over the bar. Four minutes later, another corner kick from Fraser Aird was headed over the bar by Frederic Frans. A virtually identical situation occurred a few minutes after that when the Belgian defender again headed over from an Aird corner. United’s first clear cut opportunity came after 27 minutes and again it was down to some good work by Jamie Robson on the left. He managed to get in behind the Elgin defence and crossed the ball across the face of goal, where Fraser Aird just failed to make contact on the ball at the near post. Such incidents were rare in the first half and Elgin by and large had United at arm’s length, and as if to prove that it took ten further minutes for United to create next opportunity. Sam Stanton got to the byline and cut the ball back, but the Elgin defence were able to intercept the ball before any United player could get on the end of the cross. Almost immediately afterwards, Adam Barton swung in a cross which found Stanton at the back post, but he could not get the ball under control and the chance was gone. Stanton had a volley from 20 yards a minute later but the ball drifted well wide. The best chance of the game came three minutes before half time from a Fraser Aird free kick after the Canadian had been taken out while running down the wing. However, Nicky Clark could only head the ball over the bar and the first half ended goalless. The overall pattern of play did not alter in the second half, although five minutes into the half Ben Siegrist was forced into his first save, but in truth it was a weak effort and did not threaten to open the scoring. This was after Matty Smith had a good chance at the other end, but Kyle Gourlay in the Elgin goal was able to stop his goalbound effort. Smith had another chance seven minutes into the half after being played in by Sam Stanton, but again his shot was blocked. William Edjenguele headed over from the resultant corner. There was a penalty claim for United five minutes later when a Jamie Robson shot looked to be blocked by the arm of David Wilson, but the referee was uninterested. United were in desperate need of a spark, and it came on the hour mark when new signing Yannick Loemba came on for Fraser Aird. The Congolese winger’s direct running and crossing changed the pattern of the game, immediately making United more incisive and his introduction was the catalyst for a much-improved performance in the last half hour of the game. His first involvement was a lovely reverse ball to Jamie Robson, who crossed into the box. The cross was met by the head of Sam Stanton, who headed the ball just wide. United had a half-hearted penalty claim soon afterwards as Matt Cooper appeared to bring down Matty Smith, but again the United claims were waved away. However, United did take the lead a minute later and again the substitute was involved. Loemba played in Matty Smith this time, who twisted and turned in the penalty area before playing a low ball across the box which was knocked into the net by Nicky Clark from close range. Yannick Loemba was continuing to cause problems, and his next involvement was a powerful run down the left from halfway leaving several Elgin City players in his wake. His cross was cut out by Kyle Gourlay and was cleared. The second goal did come with eighteen minutes to go, and again Loemba was involved. He skipped past his man on halfway before driving down the left, His cross took a massive deflection and landed almost perfectly for Nicky Clark to plant a header past Kyle Gourlay from six yards out to get his and his team’s second goal. Suddenly United were looking comfortable, and the players were passing with a degree of confidence and incisiveness not previously seen this season. They had a chance to get a third goal ten minutes from time when Nicky Clark was upended in the penalty box. Despite being on a hat trick, Clark was not the man who took the penalty as Adam Barton stepped up, and he smashed his spot kick past Kyle Gourlay for his first United goal. In the wake of that goal Declan Glass came on for Clark and a minute later Paul Watson came on for his United debut, replacing Frederic Frans. United’s victory was sealed with a minute left. Young substitute Declan Glass picked the ball up, jinked past his man and smashed the ball into the net from just outside the area. It was an excellent finish for the youngster’s first Dundee United goal. 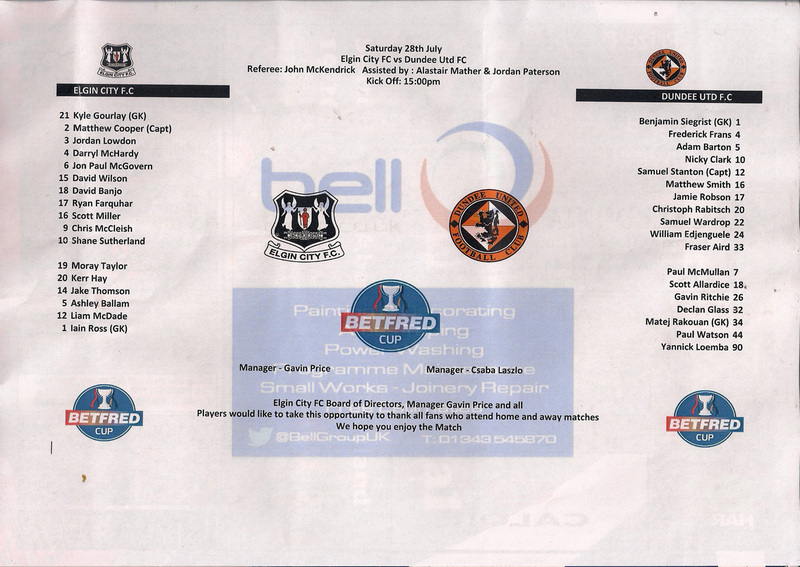 That was the end of the scoring and Dundee United won the match by four goals to nil. The win was welcome, given that such a comfortable victory looked unlikely at half time. 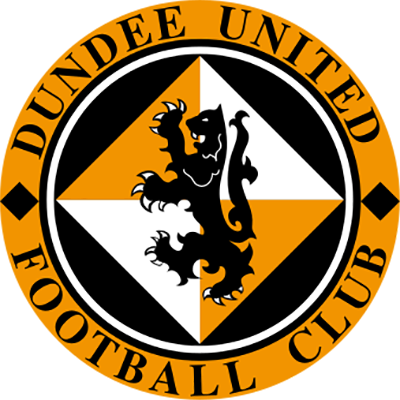 Despite the victory, United finished a lowly fourth in their five-team group but the second half performance gave some reasons for confidence in what had been a hugely disappointing Betfred Cup campaign.